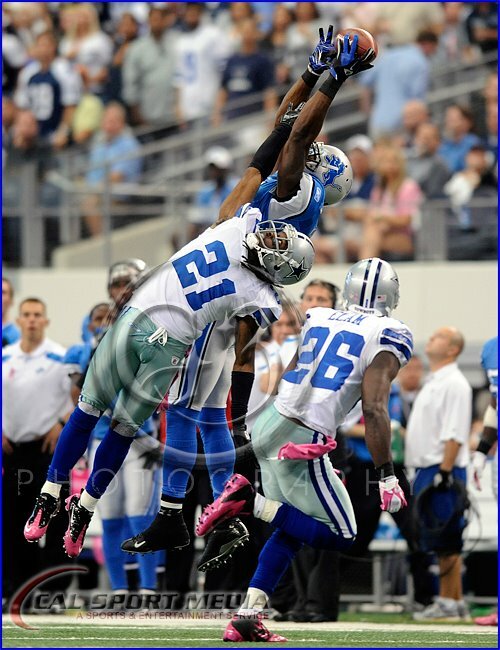 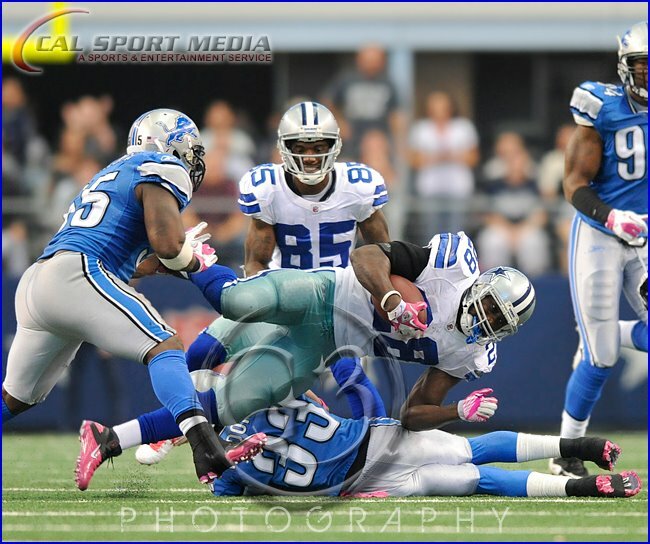 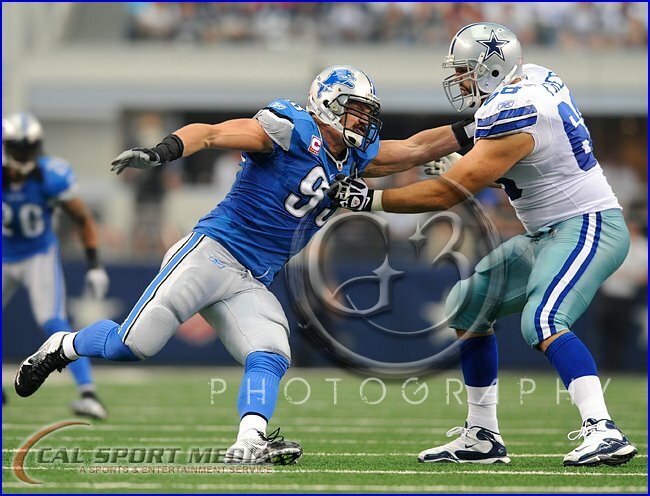 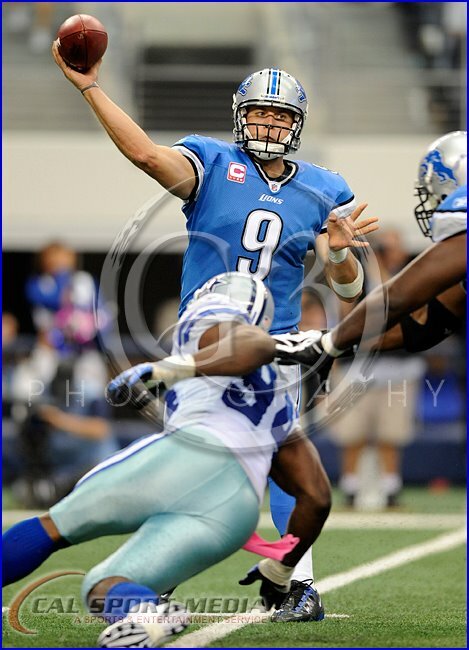 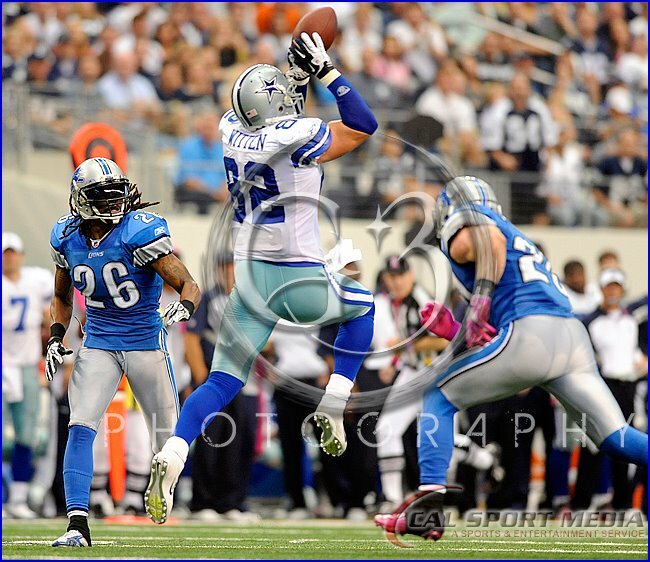 Dallas drops a game to the Lions 34-30 in which they lead at the half by almost 20 points. 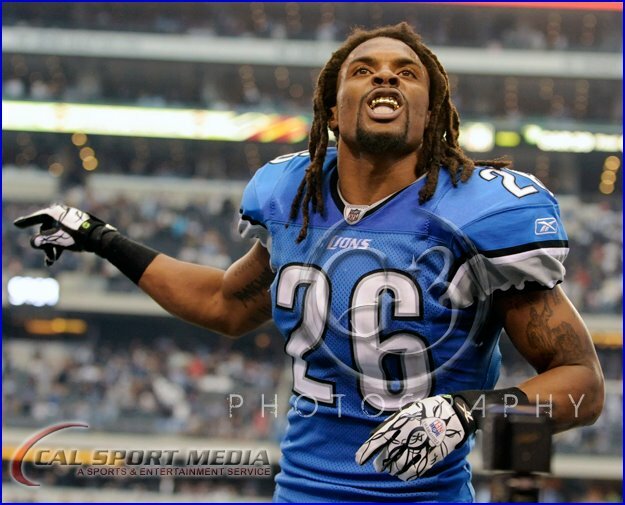 In this shot this clown decided to climb up on the benches and was really getting in to it with the fans after the game. 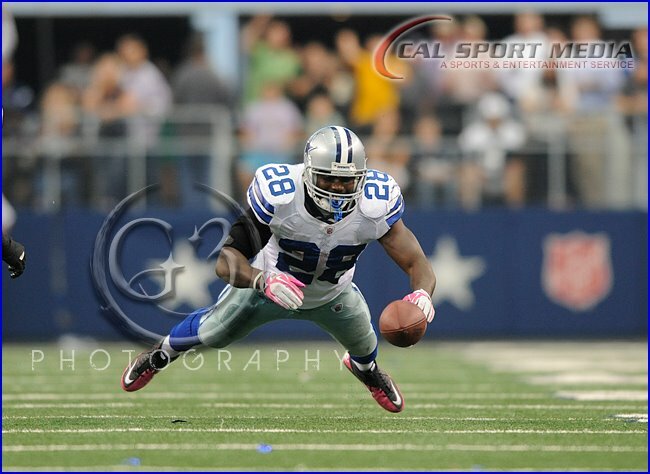 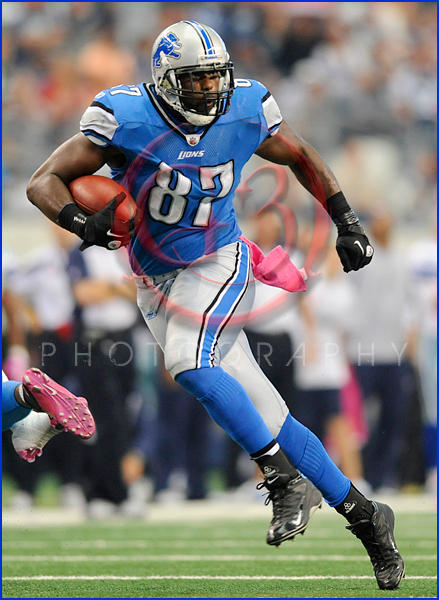 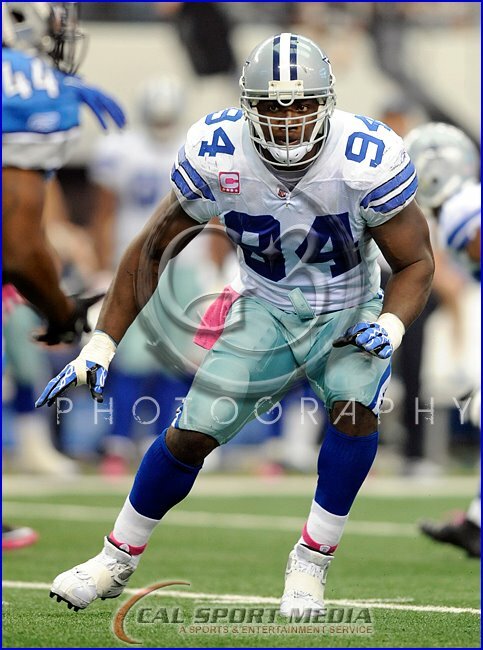 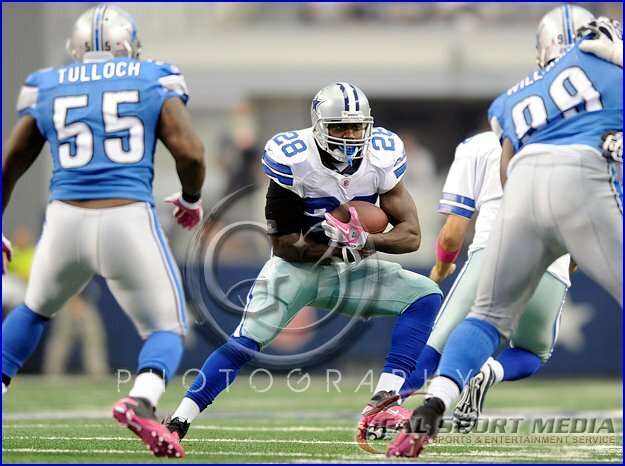 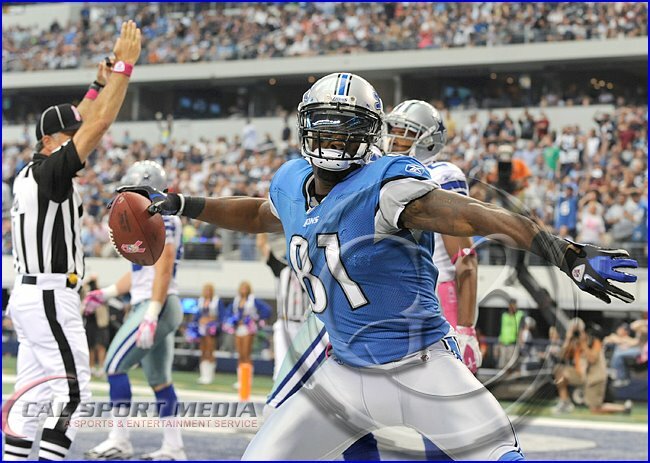 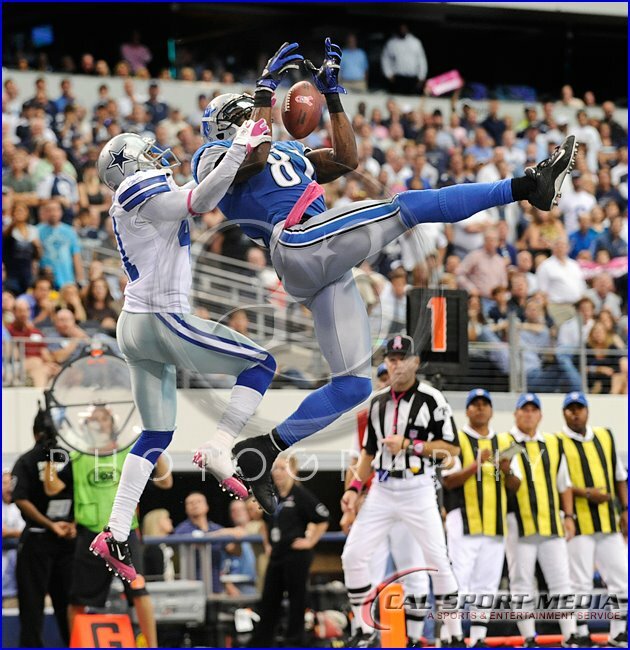 Johnson had a big night against the Cowboys with several TD’s. 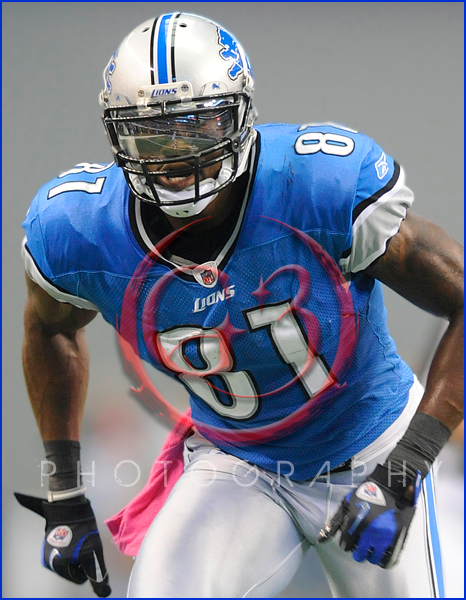 The shot below is a stock photo but I like how the reflection of the stadium shows pretty well in his eye protection. 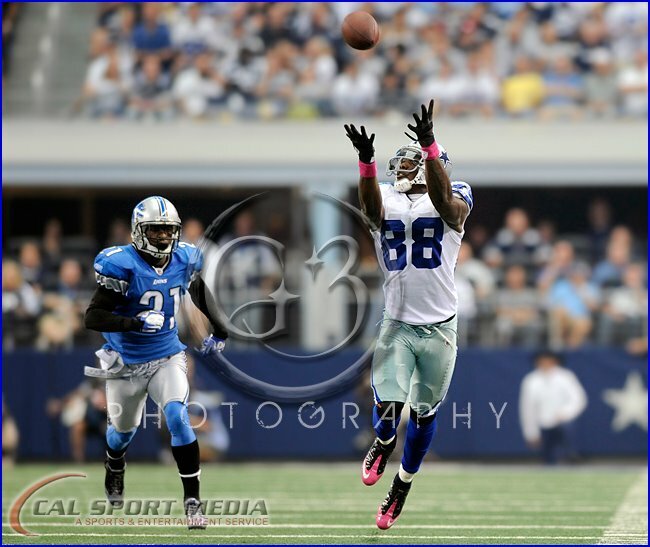 If you look close enough you can even see the cornerback T-New backing up as the play starts. 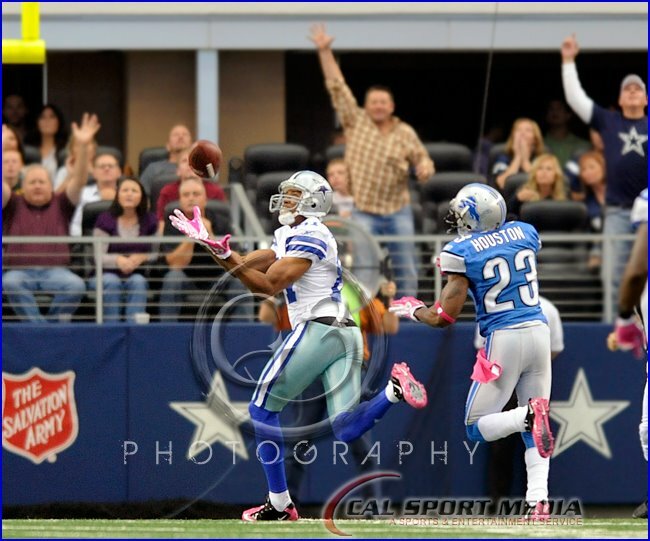 Below Johnson makes the game winning TD reception over Terrance Newman, surprise. 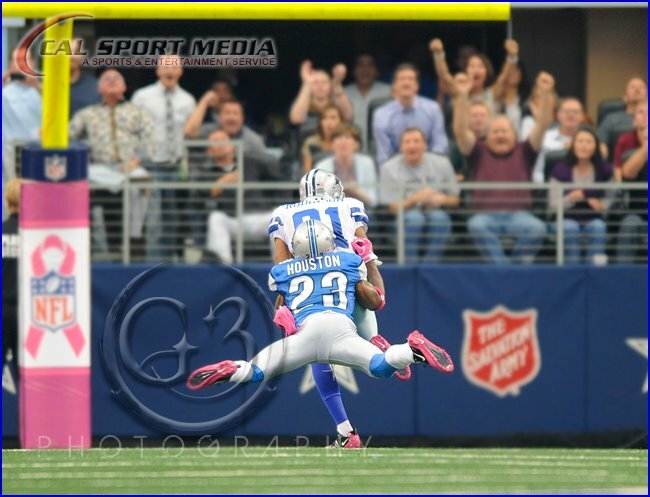 In this shot Johnson was about 4 feet from me when he spiked ball right next to me against the wall.